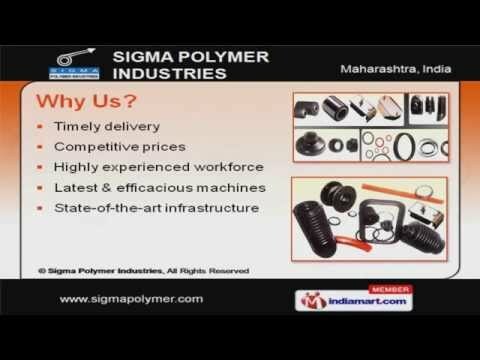 Welcome to Sigma Polymer IndustriesManufacturer & Supplier of Rubber ComponentsWe are an ISO 9001:2000 certified company, established in the year 1995. Our high quality product & Customization services has helped us to earn present repute in the market. Timely delivery, Competitive prices, Highly experienced workforce, Latest & efficacious machines aresome of the key features of our organization. We are engaged in offering Rubber Sealings, Elevator Parts, Refrigeration & Air Conditioner RubberParts. Our Rubber Metal Bonded Products are a class apart. Rubber Gaskets, O Rings & Oil Seals are some of our best selling products. Our Rubber Machine Coverings are widely acclaimed in the market. We are specialized in manufacturing Elevator Parts. Along with that we provide Refrigeration & Air Conditioner Rubber Parts at market leading prices.